"Vermont Breakfast on the Farm is the perfect opportunity to learn about dairy farming in the Green Mountain State. You’ll get a first-hand look at modern food production, and meet the farm families who work to produce safe, wholesome food." for more information visit them online. New leadership, student apprentices, and visitors from around the world celebrate the future of America's first breed of horse and UVM's historic Weybridge facility. 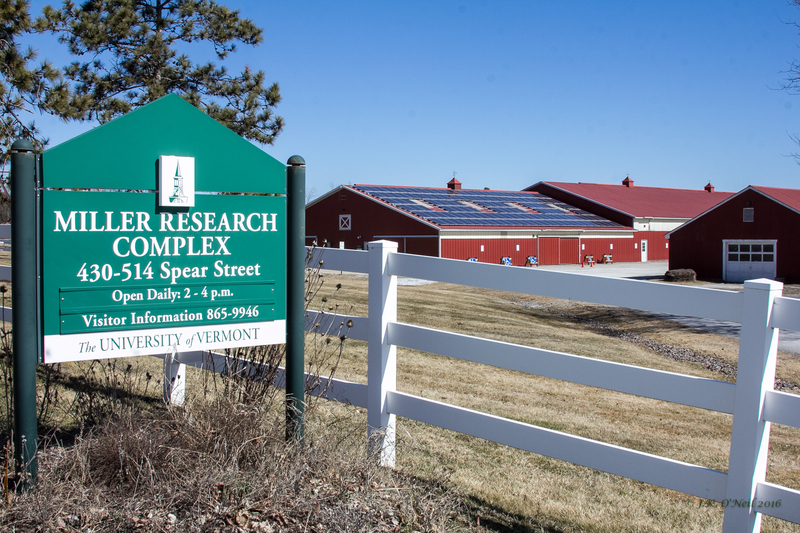 CREAM students at UVM manage the farm operation and gain skills to apply after graduation. Work on the farm starts before the sun comes up! The Animal and Veterinary Sciences program deals with a range of options from basic sciences through companion and zoo animal care to farm management. Although programs are highly individualized by students working with the advisors, there are four basic concentrations: Dairy Production, Equine Science, Zoos, Exotics and Companion Animal and Pre-Veterinary/Pre-Professional Science. When studying Animal Science, students, with assistance from faculty advisors, develop individualized programs that lead to rewarding careers in a wide variety of occupations. These programs apply to farm, laboratory, zoos and companion animals; their interaction with human society; and the contribution of animal products, such as milk and meat, to the world food supply. We provide the opportunity to obtain a meaningful Bachelor of Science degree that will serve the individual well in the future. Why are we so proud of our program? Virtually unlimited internship opportunities coordinated by Fran Kinghorn and lab experience with our impressive research faculty. Curricular and extra-curricular activities to support career exploration and preparation. Faculty and staff who value research, teaching, and advising. Each student gets a faculty advisor to help them through the course selection process and to advise them in career oppertunities. Hands-on experience from day one at UVM through courses like Intro to Animal Science, Equus, CREAM, Lameness in Horses, and all of our Clinical Topics courses. 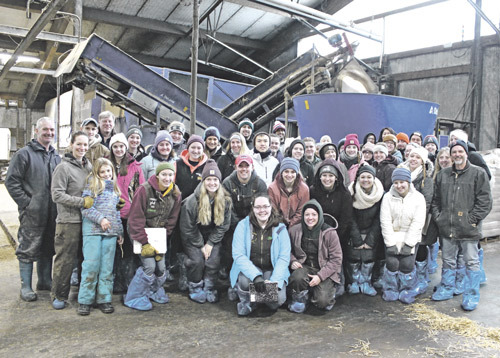 Check out what our students did in ASCI 191 - Winter Dairy Travel Course. ASCI Faculty in the news :) Also featuring a new online course ASCI 005 - Intro to the Horse! Read about it: First Impressions: UVM Dairy Bar makes it's return to campus!